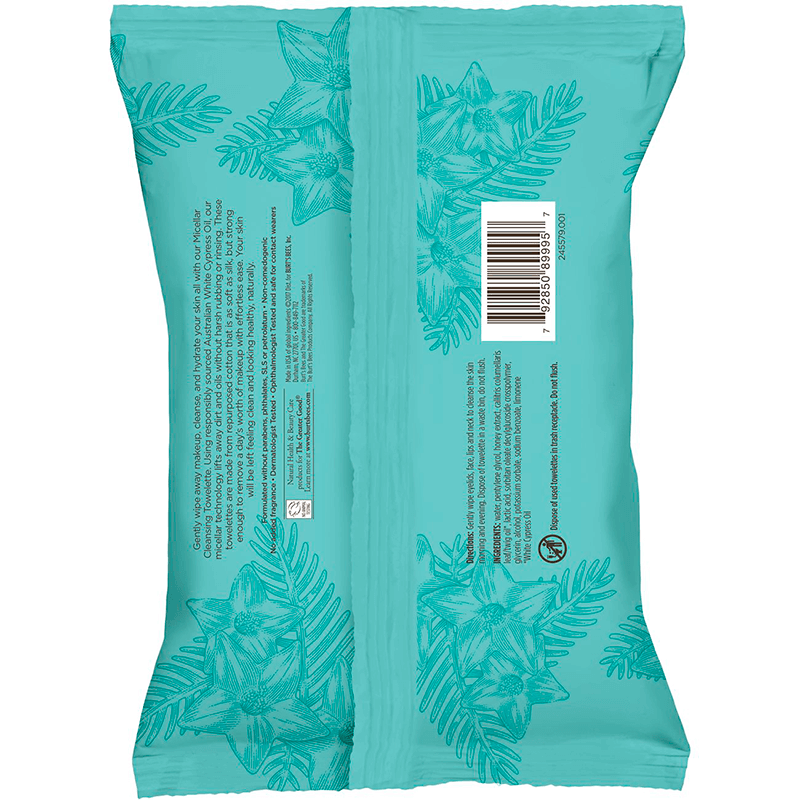 Micellar Cleansing Towelettes is rated 3.6 out of 5 by 56. 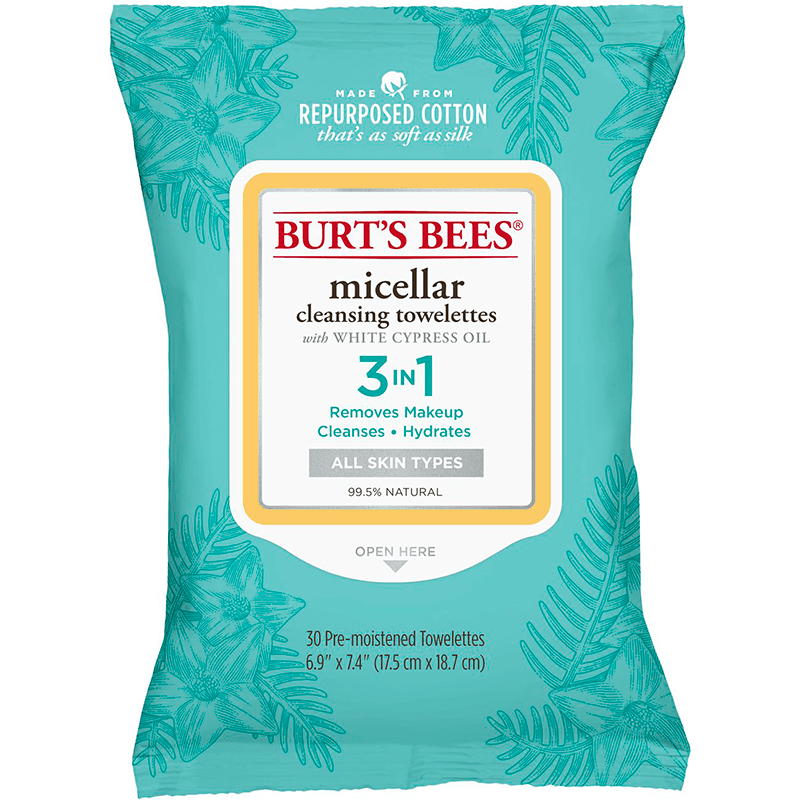 Make your skincare regimen a breeze with 3 in 1 Burt's Bees® Micellar Cleansing Towelettes. Burt's Bees® Micellar Cleansing Towelettes are formulated with Australian White Cypress oil and honey extract to gently remove lingering makeup, gently cleanse away pore-clogging dirt and oil while nourishing your skin. Packaging may vary. Our Micellar towelettes are made from re-purposed cotton. You may see specks of color on the towelettes; this happens when a colored piece of cotton is included with other white cotton pieces; it’s just one more way you’re reducing what goes to a landfill. 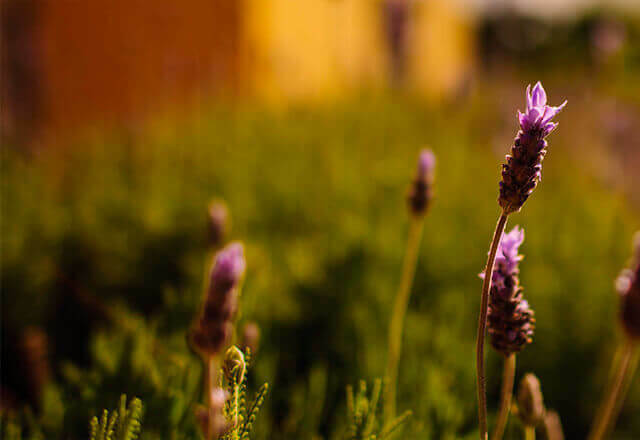 Ingredients: water, pentylene glycol, honey extract, callitris columellaris leaf/twig oil (white cypress oil), lactic acid, sorbitan oleate decylglucoside crosspolymer, glycerin, alcohol, potassium sorbate, limonene. Gently wipe eyelids, face, lips and neck to cleanse the skin morning and evening. Dispose of towelette in a waste bin, do not flush.